HOW DO YOU SAY IT, KREME OR CREAM? Krispy Kreme wanted to generate of awareness of their newest partnership with iconic American candy brand, Hershey's and the launch of the new Hershey's Cookies 'n' Creme doughnut. Through social listening, we discovered a fascinating insight; people struggled to pronounce and spell the Kreme in Krispy Kreme. Thousands of people on social were debating the correct pronunciation, "was it krem or cream?" and with the launch of the new Cookies 'n' Creme doughnut, we saw a golden opportunity to create one the most audaidous April Fools stunts ever attempted. 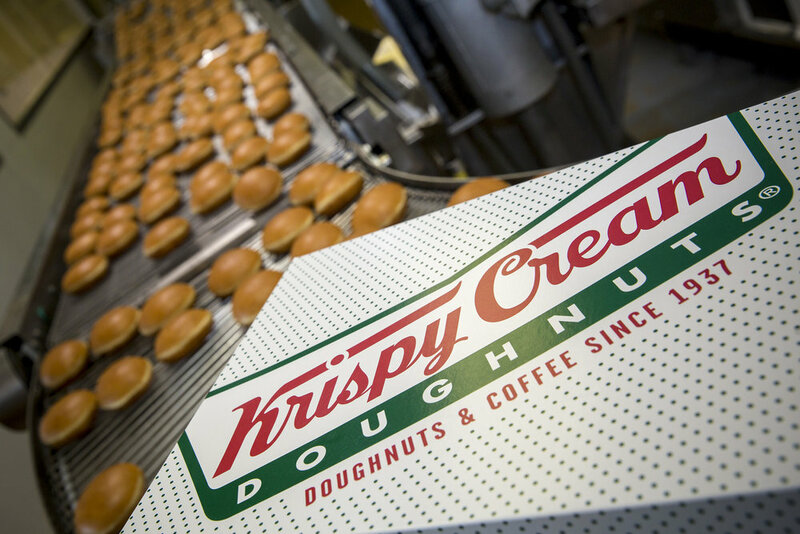 Using the insight from our social listening as a foundation, we began to fuel the debate around the correct way to pronounce the Kreme, and we took to social media and the streets of London to get people talking about it. With a national debate reignited, and two days before April 1st, we made our move through a branded video featuring our fictitious Krispy Kreme representative (Micheal 'O.G' Davis) who informed the nation (that due to the confusion over the name) we were rebranding from Kreme to Cream. We knew a video wouldn't be enough, so to add further weight to the campaign we rebranded a Krispy Kreme store in South West London with the new logo across signs, boxes and uniforms. On the 1st of April, we revealed the hoax while announcing the launch of the Hershey's partnership with the new doughnut, helping people go from duped to delight in a second.